It was just in 2010 that punk rock group Heartsounds released their debut album. One year later their second album "Drifter" is set to be released on July 26th via Epitaph Records. Don't be afraid that the band has evolved into something horrible because they did not. 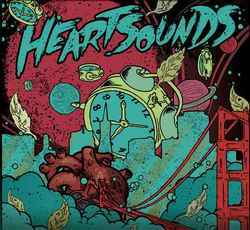 Progressing on their sophomore follow-up album to their 2010 Epitaph debut Until We Surrender, Heartsounds reach a new level of maturity and diversity without holding back a single ounce of what fans have loved from the start, and that is pure punk rock heart. Drifter embraces their same fast, melodic, technical punk rock style that we have come to love, while reaching new heights vocally and in overall songwriting. Just a month ago TV on The Radio dropped their fifth album 'Nine Types of Light'. To make it easy for you here is nice little summary what the band has planned for this summer. Naturally the band will start their tour at the Pitchfork Music Festival on July 17th. As the hot weather approaches, so does news from TV on The Radio. Given that it's a scientific fact (more or less) that you’re going to be a lot lazier in the summertime, we are making it easy breezy to stay on top of what the band will be doing and where they'll be going. Take a look below for what you’ve already missed (but don't worry, you can still get the retroactive experience) and what's coming up that you shouldn't miss! 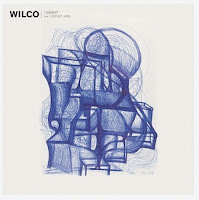 A while back, prolific alt-country stars Wilco announced they were starting up their own record label, dBpm Records and, with it, a new seven-inch, to be released this summer. We already knew the vinyl single would feature new tune "I Might" on one side and a cover of Nick Lowe's "I Love My Label" as the flip, but we now finally know when we can get our hands on the release. 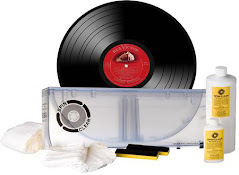 As previously reported, the limited-edition "I Might" single will be pressed on clear vinyl and sold at the group's Solid Sound Festival, which takes place in North Adams, MA from June 24 to 26. Following that, two more versions of the release will be issued on July 19. A limited press on blue vinyl will be available through the group's online store and via the Anti- shop, while the standard black vinyl version will be loosed upon traditional retailers. All copies come with a digital download and you can pre-order copies now. That's the newly revealed cover above. 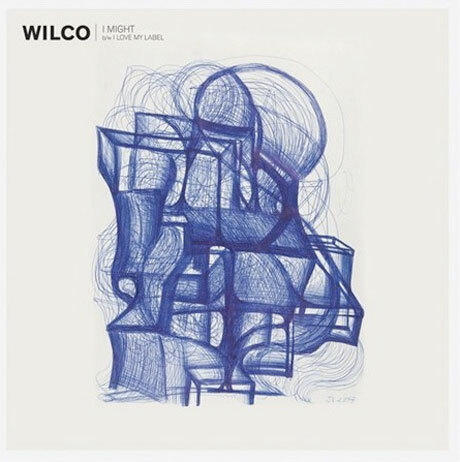 A press release also confirms that "I Might" will appear on the as-of-yet untitled follow-up to 2009's Wilco (The Album). The new record will drop sometime this fall, and while a tracklisting has yet to appear, band leader Jeff Tweedy recently dished some dirt on the other songs on the set. A whistlestop tour through rock and pop history through the artwork of our Top 10 London album covers. Agree with our selection? What did we miss? Let us know in the comments. 1. 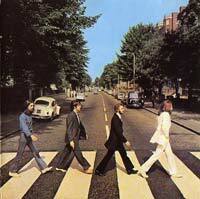 The Beatles ‘Abbey Road’: Abbey Road, NW8. Let’s be honest, as soon as you saw this post you thought of this album. It was nearly left off the list for fear of it being too obvious, but that would have been silly so let’s get it out the way first. Anyone who loves music and lives in London has made / has plans to make / has been too-cool-for-school-and-deliberately-avoided-making a pilgrimage to the most famous road crossing in the world. Go there on any day of the week and you’ll see the traffic being held up as Beatles fans from around the world re-create the cover. Photographer Ian Macmillan was given ten minutes to climb a stepladder while a policeman stopped traffic and at approximately 11:30 am on 8 August 1969 music history was made. Anthrax have completed work on their new album 'Worship Music' and have revealed a UK release date of September 12, 2011. The long-awaited album marks the return of vocalist Joey Belladonna and features 11 tracks produced by Anthrax, guitarist Rob Caggiano and Jay Ruston. The record is Anthrax's first studio release in eight years. “I get goosebumps listening to the new music,” drummer Charlie Benante says in an official press release. "You have to practice...and trust yourself"
It's mid-afternoon in New York City, and Neil Peart is unwinding. And how exactly does Rush's world-famous drummer and lyricist kick back in the Big Apple? By solving a math problem, of course. But this particular equation has a very specific purpose, and it's one that will soon be played out in front of TV cameras, a studio audience and millions of home viewers, for Peart is one of the stars - in fact, he's the closing act - of Drums Solos Week on The Late Show With David Letterman. There's just one little hitch: The show's producers have asked the renowned sticksman, who this Thursday (9 June) will follow performances by The Late Show's own Anton Fig, along with Sheila E and drum legend Roy Haynes, to keep the razzle-dazzle down to "three, maybe four minutes," says Peart. Hence, the numbers crunching. Just back from a morning rehearsal, Peart admits that when he was approached to be part of Drum Solos Week, his initial reaction was, "I don't know…it's not really my thing. But then I thought, Hey, a drum solo on TV - sounds great! I'd be very honored to be the ambassador to drum solos." Juliana Hatfield is set to release her eleventh album 'Speeches Delivered To Animals and Plants' on August 30th on her own Ye Olde Records. Her last album was released last year and her debut in 1992. This is a very special album because it is a fan-funded release. Hatfield says, "I really think that PledgeMusic and similar sites are the future of music, especially for people like me who have devoted cultish fanbases but who have never sold a ton of records and don't really fit in anywhere at major labels. Working with this new model, you go straight to the fans, who become your patrons, in a very direct and vital way. They have a special kind of access to you in a way that makes them happy - they see the progress of the album-making in real time with the video and audio updates I post at the PledgeMusic site. And I have total ownership of the music at all stages, present and future. I love working like this." Yeah, i know, it's not vinyl....however it's great rock and roll! Metal gods Judas Priest will release a comprehensive 20-CD box set in August. The set will be called Singles Cuts and will feature all of the band’s U.K singles released on the Columbia label from 1977 to 1992. Drafts of BOB DYLAN's original lyrics are expected to fetch thousands of pounds when they hit the auction block later this month (Jun11). The newly-discovered papers, which are heavily edited and even feature notes in crayon, date from the mid-1960s, when Dylan hit a productive peak. Some of the documents are handwritten and others typed, and they include the lyrics to some of the folk star's most famous tracks, such as Subterranean Homesick Blues, Queen Jane Approximately and Visions of Johanna. The original draft of Maggie's Farm is estimated to sell for £44,000 to £56,000. Chris Coover of Christie's auction house says, "The mid-60s, especially 1964-1966, were a true watershed for Dylan. In that period his lyrics became deeper and more personal, while his songs moved away from the acoustic, folk-inflected style, and he forged a unique personal style as poet and songwriter." Collectors will have a chance to bid on the pages at Christie's auction of fine printed books and manuscripts in New York on 23 June (11), reports Reuters. Dylan's handwritten lyrics to his 1964 anthem The Times They Are a-Changin' pulled in a staggering £264,000 at Sotheby's in December (10). The Los Angeles Times Magazine has put together their list of the fifty best L.A. bands. In making the selections, a few were left out, such as Tom Petty & the Heartbreakers and No Doubt, who have been associated with Los Angeles but did not form in the city or county area. The bands at the top of the ranking are really no big surprise with the Doors, the Beach Boys, the Byrds and the Buffalo Springfield, but the big discussion rankings start in the next three spots. In 1964, the Rolling Stones recorded “It's All Over Now” during their first session at historic Chess Studios in Chicago. Also in 1964, 'A Hard Days Night' by the Beatles (single and album) was released. In 1966, Big Brother & the Holding Company make their first live appearance with new lead singer Janis Joplin. The cut "Rain," by the Beatles (first use of reverse tapes) was recorded in 1966. In 1967, the Beatles' "Sgt Peppers Lonely Hearts Club Band" started a 23 week run at #1 on the UK album chart. 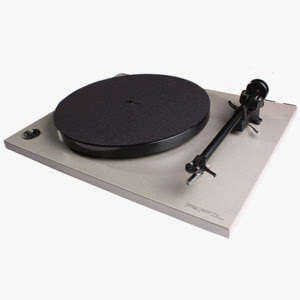 The LP also topped the Billboard Hot 200 chart for 15 weeks, won the Grammy Award for Album of the Year and would eventually sell over 30 million copies world wide. Ringo Starr would later comment: "a bunch of songs and you stick two bits of 'Pepper' on it and it's a concept album. It worked because we said it worked." In 1967, Jimi Hendrix is denied entry to London's Botanical Gardens because "people in fancy dress aren't allowed." In 1967, after selling over 356,000 copies in the first three weeks after its release, "A Whiter Shade Of Pale" by Procol Harum tops the UK chart. The song would peak at #5 in the US near the end of July. In 2004, the United Kingdom performing rights group Phonographic Performance Limited recognized it as the most-played record by British broadcasting of the past 70 years. The same year, Rolling Stone placed "A Whiter Shade of Pale" #57 on its list of the 500 Greatest Songs of All Time. In 1971, police tear gas the crowd at a Jethro Tull concert in Denver, CO. The band plays on, even though keyboardist John Evans can't see his piano through the gas. In 1973, Sammy Davis Jr. enjoyed the biggest hit of his career when "Candy Man", taken from the musical Willie Wonka and the Chocolate Factory, went to number one in the US. Joe Walsh's "Life's Been Good" was released in 1978. Asia was formed in 1981 by Steve Howe, Geoff Downes, John Wetton and Carl Palmer. In 1982, Addie Harris from The Shirelles died of a heart attack after a show in Atlanta. The group had a 1961 U.S. #1 and U.K. #4 single with “Will You Love Me Tomorrow,” becoming the first all-girl group to have a #1 single on the Billboard Hot 100. In 1993, Irish singer Sinead O'Connor took out a full-page ad in the Irish Times asking the public to "stop hurting me please." She blamed her troubles on abuse she suffered as a child. O'Connor was still being criticized for ripping up a picture of the Pope during an appearance on Saturday Night Live the previous October. oh, go shave your melon and shut up! In 1993, Jimmy Weston, lead singer of The Danleers, passed away. The Brooklyn, New York doo-wop group is most often remembered for their 1958 hit "One Summer Night". In 2004, singer-songwriter and soul legend Ray Charles died at the age of 73. Glaucoma rendered Charles blind when he was six years old. Charles had the 1962 U.K. and U.S. #1 single, “I Can't Stop Loving You." During his 45 year career, Ray appeared on the US Pop charts 77 times, with 33 of those songs making the Top 40. He became the first artist to have an album on Billboard's Hot 200 for six decades in a row. In 2004, Peter Garrett of Midnight Oil announced he was running for the Australian Parliament.